One day, everybody was talking about it. It had even been printed in the newspapers. A great and learned sadhu had prophesized a conflagration, a natural disaster of such proportions that more than half of the world's population would be killed. Dil was on his way to work at the construction when site he stopped briefly to listen to a man propounding the benefits of a herb against impotence. Then he noticed, out of the corner of his eye, long lines of goats converging onto the green. "What's going on?" he asked. And the people told him: "Everybody's buying meat so they can have one last good meal before they die." Dil, following this precedent of preparing for the end of the world, went into the shop and bought a kilogram of goat meat. On his way back home, he stopped at Gopal Bhakta's shop, where all the men saw the blood-soaked newsprint packet he was carrying in his hand. "So what's the big event, Dai? Are you celebrating Dashain early this year?" they joked. So he told them how goats were being sold in record numbers, and how the butchers were going a roaring business down in Tudikhel. The men, seizing on this opportunity for celebration, all decided to buy some meat for their last meal. Sanukancha, who owned a milk-shop down the lane, said that his entire extended family of a hundred and sixteen people were planning to stay home that day so that they could be together when the seven suns rose the next morning and burnt up the earth. Bikash, who had transformed from an awara loafer to a serious young teacher since he got a job at the Disney English School, said that so many children had come in asking to be excused that day that the schools had declared a de facto national holiday. Gopalbhakta said that his sister, who worked in the airport, had told him that the seats of Royal Nepal Airlines were all taken with people hoping to escape the day of destruction. Dil, showed up that night at his house with a kilo of meat wrapped in sal leaves. He handed it to Kanchi without a word. "Meat! We don't have a kernel of rice, not a drop of oil, not a pinch of turmeric in the house. And you come back with a kilo of meat! We could have eaten for a week with that money." Kanchi was exasperated. "Shut up, whore, and eat". said Dil. "You might be dead tomorrow, so you might as well enjoy this meat while you have it." "How am I going to cook it? With body heat?" demanded Kanchi. There was no kerosene in the house. Dil stretched out on the bed, his body still covered with the grey and red dust of cement and newly fired brick from his day of labor at the construction site. He stretched out and stared at the ceiling, as was his habit after work. When he did not reply, Kanchi asked: "And what is this great occasion?" He contemplated the water stains on the wooden beams for a while, and then answered: "It's the end of the world." So that's how she learnt that a great star with a long tail was going to crash against Jupiter, and shatter the earth into little fragments. It was true this time because even the TV had announced it. It was not just a rumor. There were also some reports, unverified by radio or television, that several - the numbers varied, some said it was seven, others thirty-two thousand - suns would rise after this event. Kanchi was just about to go and get some rice from Gopal Bhakta, the shopkeeper who knew her well and let her buy food on credit, when her son arrived, carrying a polythene bag with oranges. "Oranges!" She swiped at the boy, who scrambled nimbly out of her reach. "You're crazy, you father and son. We have no rice in the house and you go and buy oranges. Don't you have any brains in your head!" But the husband said nothing, and the son said nothing, and since it is useless to keep screaming at people who say nothing, Kanchi left, cursing their stupidity. "May the world really end, so I won't have to worry about having to feed idiots like you again." So that night they had meat, alternately burnt and uncooked in parts where the children had roasted it, and perfectly done pieces which Kanchi had stuck through long sticks and cooked over hot coals. Kanchi, reflecting that the end of the world did not come too often, had gone over and picked some green chilies and coriander from the field next door to garnish the meat. Afterwards they had the oranges, one for each of them. They were large, the peels coming off and scenting the room with the oil. Inside, they were ripe and juicy, with a taste that they never got in the scrawny sour oranges that grew back in the villages. After they had eaten, Dil said, as an afterthought, "Now make sure the children don't go out tomorrow, whatever you do." Later, Kanchi forgot her annoyance as their next door neighbors came over, bringing their madal drum and their three guests who were visiting from the village. They sang the songs that were so familiar, and yet had begun to seem so strange nowadays: songs about planting rice and cutting grass in the forest, a life that to the children was as unknown and faraway as the stories that they heard from the priests during a reading of the holy scriptures of the Purans. Then her son got up and started dancing, and they were all cheering when the landlady popped her head around the door and demanded: "What's all this noise? What's going on here? It sounds like the end of the world!" Kanchi dressed carefully for the eventful day. She had on her regular cotton sari, but wrapped over it was the fluffy, baby blue cashmere shawl that Jennifer had brought for her from America. Jennifer, who was long, lugubrious and eternally disgusted with Nepal, worked for some development office, where she made women take injections and told them to save money in banks. She was fond of telling Kanchi that Nepalis were incapable of understanding what was good for them. She would have been proud to see Kanchi putting the blue shawl to such good use on such a momentous day. Kanchi worked for Jennifer when she was in town. She cooked her rice and vegetables with no spices, and cut the huge red peppers that Jennifer liked to eat raw while she stood in front of her television in shiny, tight clothes and did her odd dances. Janefonda, Janefonda, she would yell at Kanchi, hopping up and down like a demented, electric green cricket as she munched on the huge peppers. She was not very forthcoming with presents, but once every winter she gave Kanchi a piece of clothing. "Why the shawl on this hot day?" inquired Mitthu. She was the old cook of the Sharmas', at whose house Kanchi went to wash the clothes every morning to supplement her uncertain income. "Haven't you heard?" Kanchi said to her. "Everybody is talking about it. Today is the end of the world. A big sadhu prophesized it. I won't have my husband by me, or my son. At least I can have my shawl." "What nonsense." retorted Mitthu. She was a religious woman, with a tendency to be skeptical of people and events that she had not heard of. "Well, what if it happens?" Kanchi demanded, and Mitthu replied, just as firmly: "No, it won't." "Let's eat rice now, Didi." Kanchi said anxiously, as the sky began to darken for a light rain. The end of the world was supposed to happen at eleven am, and Kanchi wanted to deal with the event on a full stomach. "We might be hungry later." "Is this for your body or your soul?" Asked Mitthu as she ladled some rice onto a plate for Kanchi. She had an acerbic tongue. "A soul will fly away like a small bird. It'll fly away when it becomes hungry and go and steal from some other people's homes. It's my stomach that will kill me." "And is your shawl to keep you warm in heaven or hell?" Mitthu inquired as she dropped a pinch of spicy tomato acchar onto the rice. "I won't need this shawl in heaven or hell. This is if I survive, and there is nobody else on this earth but me. At least I will have my shawl to keep me warm." Mitthu, even though she would not acknowledge it, recognized this admirable foresight and common sense. "Humph" she said, turning away to steal a glance at the sun, which did look rather bright. She wondered if she should run in and get a shawl as well, just in case, then decided her pride was more important. A rumble of thunder rolled across the clear blue sky, and Kanchi stood up in a panic. "What a darcheruwa I am, I have no guts." she scolded herself. "Eat, Kanchi." said Mitthu, rattling the rice ladle over the pot, annoyed at her own fright. "I saw Shanta Bajai storming off to go to office this morning. She said she would go to the office even if nobody else came, and she would die in her chair if she had to." "So why is the world going to end?" asks Mitthu cautiously. She did not believe it was going to happen. At the same time, she was curious. "It's all because of Girija." explained Kanchi. "It all started happening ever since he became the Prime Minister. Ever since he started going off to America, day after day. I heard he fainted and fell on the ground, and the king of America gave him money for medicine. So this destruction is happening since he returned. Maybe the American king gave him money, and he sold Nepal, maybe that's why. And now maybe the Communists will take over." "You know, Kanchi, I almost became a Communist when I was in the village? It sounded good. We would all have to live together, and work together, and there would be no divisions between big or small. Then we could kill all the rich people and there would be peace." "And what about eating?" asks Kanchi. "You would also have to eat together, out of the same plate, with everybody else. How would that suit you, you Bahuni? You who won't even eat your food if you suspect somebody has looked at it?" Mitthu, who was a fastidious Brahmin and refused to let people who she suspected of eating buffalo meat into her kitchen, realized she has overlooked this point. "And then they make you work until you drop dead." said Kanchi. "Don't tell me I didn't think about it. I would rather prefer to live like this, where at least I can have my son by me at night. I heard the Communists take away your children and make you work in different places. And then they give you work that you cannot fulfill, and if you do not do it, they kill you - Dong! - with one bullet. What's the point of living then?" "Well ..." Mitthu does not want to give up her sympathies so easily. Besides, her husband had died when she was nine. As a lifelong child widow she had no reason to worry about being separated from her children. "Well, we'll see it when it happens, won't we?" "Like the end of the world." said Kanchi, checking out the sky. "I heard that they have taken the big Sadhu who predicted the end of the world and put him in the jail in Hanuman Dhoka. He has said that they can hang him if it doesn't happen. Then some people say that he was performing a Shanti Hom and the fire rose so high he was burnt and had to be taken to the hospital. Who can tell what will happen?" Eleven am. There is a sudden shocked silence. The whole world stands still, for once, in anticipation. Then a sudden cacophony shatters the midmorning silence: cows moo tormentedly, dogs howl long and despondently, and people scream all over the tole. The sky is flat gunmetal grey. The sun shines brightly. A collective sign of relief wafts over the Valley of Kathmandu after the end of the world comes to an end. 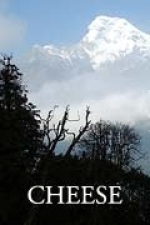 A Nepalese boy dreams of cheese. 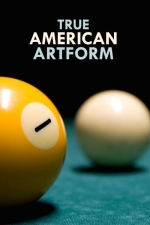 An account of a pivotal game of pool. A vivid memory of an incident from the life of an orphanage child.